Add Game Of Thrones to your favourites to get the latest news and updates. 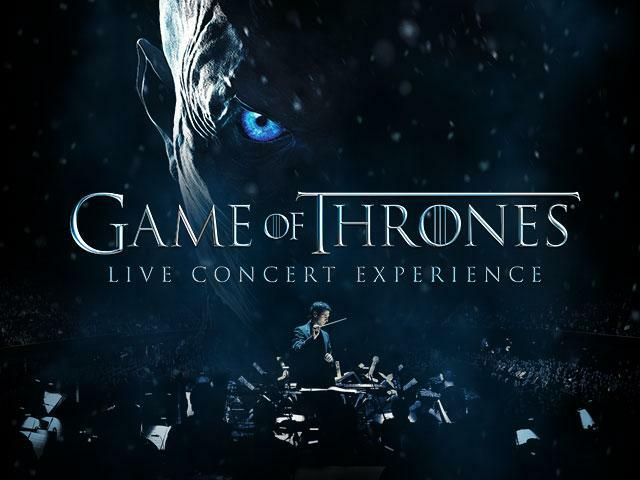 The critically acclaimed Game of Thrones® Live Concert Experience Featuring Ramin Djawadi has today announced that it will bring the world of Westeros to three more dates across the UK in June 2018. The announcement follows the previously revealed dates for 2018 that will give fans the opportunity to watch in wonder as famed composer Ramin Djawadi leads an orchestra and choir performing music from all seven seasons of the iconic, Emmy® Award-winning HBO series. The 2018 dates for the Game of Thrones Live Concert Experience Featuring Ramin Djawadi will include new music and footage from Season 7, as well a new custom stage design and mesmerizing visuals courtesy of state of the art video technology. The tour, produced and promoted exclusively by Live Nation in partnership with HBO Global Licensing, will continue to use innovative music tour production and video technology that will recreate the various realms found throughout Westeros and Essos as well as showcase footage from the show in addition to new imagery created exclusively for the upcoming 45 tour dates.